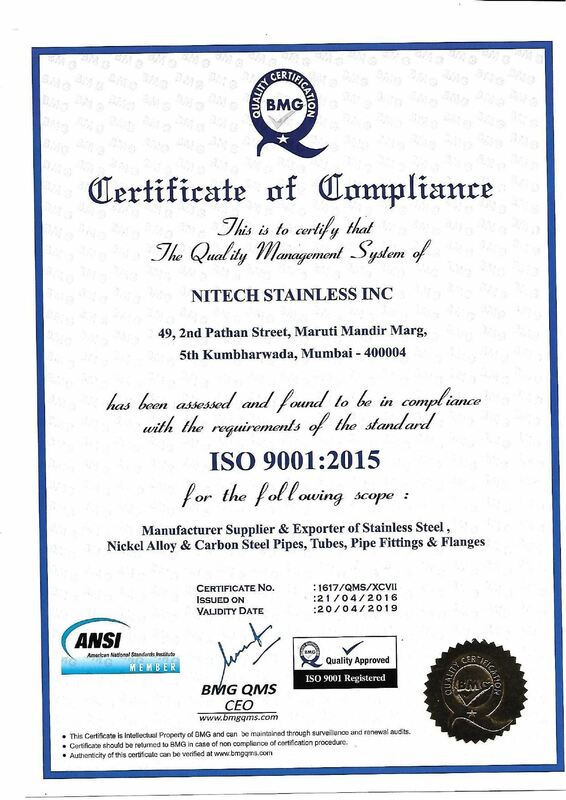 Nitech Stainless is leading manufacturer, supplier, dealer of Pipes and Tubes in India. 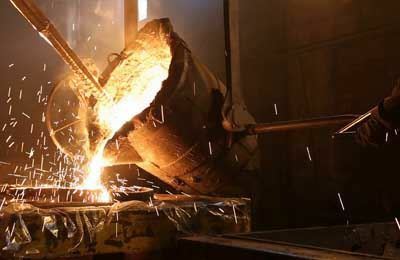 Nitech Stainless Inc. is a leading Supplier of all Ferrous & Non-Ferrous Metals. As a pioneer Nitech Stainless Inc. is at the forefront of technology and research. We are constantly innovating, listening to the rapidly changing market and giving the consumer the best value for his money. 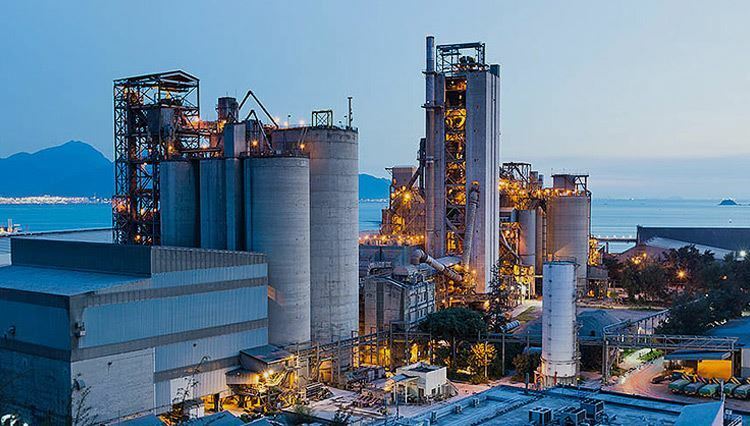 We have great pleasure to introduce ourselves as one of the leading Suppliers of Hastalloy C 276, 17-4 PH, XM 19, Titanium, Duplex Steel, SS 303, EN 1A, Stainless Steel, Carbon Steel, Alloy Steel, Copper, Brass, Monel, Inconel, Aluminium, Lead in the shape of Pipes, Tubes, Rods, Sheets, Plates, Wires, Angles, Coils, Strips and the entire range of Pipe Fittings. 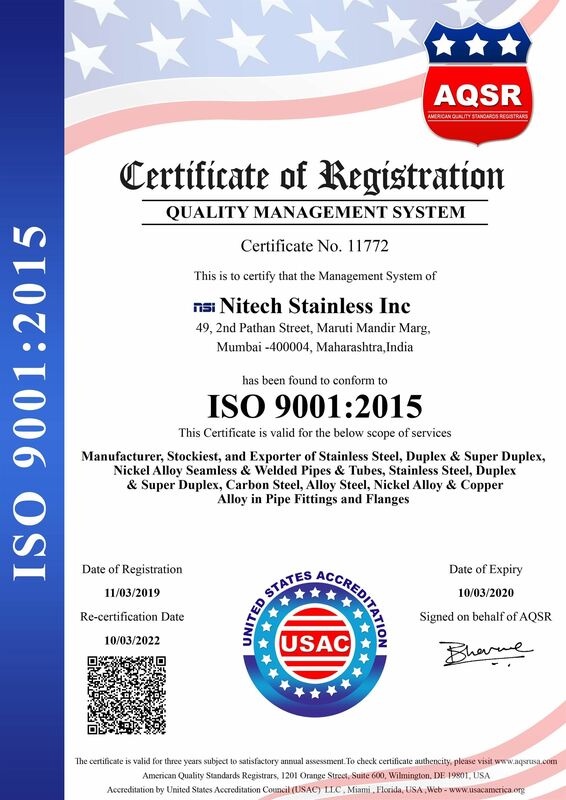 Nitech Stainless Inc. is a force to reckon with in the field of exporting premium quality Fittings, & Flanges in Carbon Steel, Alloy Steel, Stainless Steel, Duplex Stainless Steel and Low Temperature Services. We are based in Mumbai (India), the company has scaled incredible heights in business owing to its innovative products. The company's productivity and clients base is always on an upward swing. We believe that commercial success and corporate responsibility should go hand-in-hand. We must therefore recognise and manage the impact of our business and its contribution to society. Responsible behaviour is not just the ethical way to act. Build strong relationships with our customers – which we achieve, for example, by employing and training local workforces.Develop trust in our reliability and integrity – which we are reinforcing, for instance, by developing a global compliance network.Manage risks more effectively – as we do with the social and environmental impact asessments that we carry out in all geographies.establish strong employee engagement. Keeping efficient and friendly customer service as the top concern, provides ultimate flexibility in fulfilling each & every customer requirement irrespective of the size of order. Most of our clients are doing business with us since years, which indicates higher levels of customer satisfaction. We always welcome any queries or suggesions from our clients to improve the services and hence to serve them better. 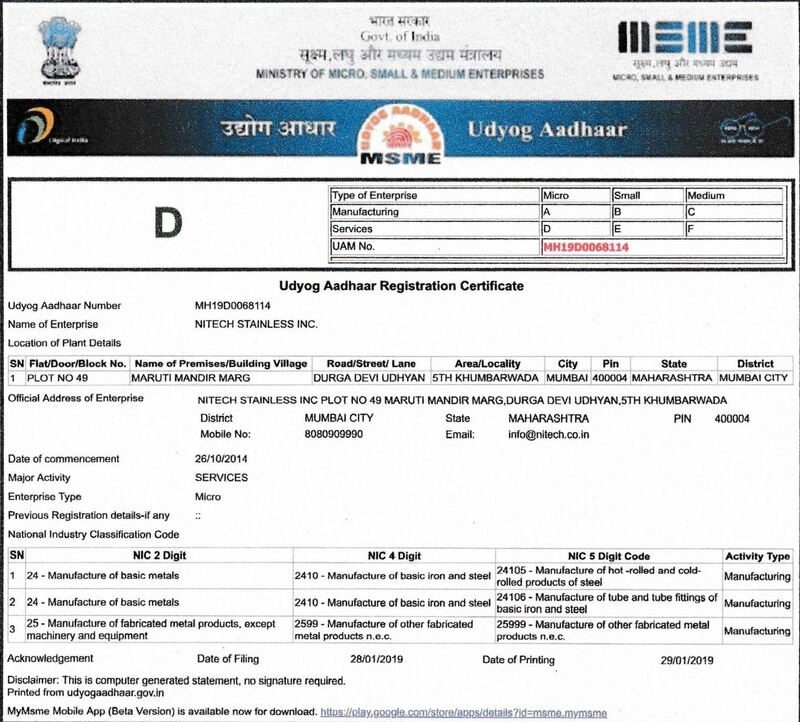 CERTIFIELD COMPANY:Keeping efficient and friendly customer service as the top concern, provides ultimate flexibility in fulfilling each & every customer requirement irrespective of the size of order. Most of our clients are doing business with us since years, which indicates higher levels of customer satisfaction. We always welcome any queries or suggesions from our clients to improve the services and hence to serve them better. We are available 24/7 online to help you. Customer Satisfaction is the biggest priority for us. At Nitech Stainless Inc, we know the value of time and hence provide the fastest delivery possible. We provide the most competitive prices in the market. The best quality at the lowest costs.